As summer apporaches, give your patients the glow they want with Allumera®. Now through June 30. Boost your business, drive your revenue. With summer right around the corner, we're offering a special opportunity for your practice to try a new treatment that will give your patience confidence heading into pool season... For free! 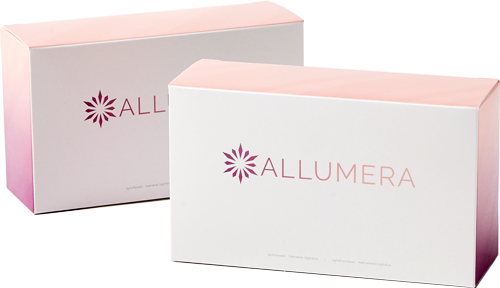 Purchase 96 SkinPen Treatment Kits or Treatment Kits Plus and receive a free case (12) pods of Allumera! Act soon: These special discounts will only be available through the end of the June. Promotion ends on June 30, 2019. Allumera case (12 pod) has a value of $1,560. Revitall study of safety and efficacy of Allumera and skin illumination in 101 subjects (data on file). Results based on a survey conducted by patients after three procedures spaced four weeks apart.